Are you considered an exempt employee in San Jose? If you are a salaried worker, you might assume the answer to be yes. Many people do, and as a result, they are denied the compensation they are owed for their overtime hours. Overtime pay is a right not just for hourly workers; salaried employees may also be eligible for this type of income depending on their employment status. Knowing whether you are accurately classified as an exempt or non-exempt employee is the first step towards receiving the compensation you deserve. Workers’ rights vary depending on whether you are an exempt employee or a non-exempt employee. The category that you fall into depends on the nature of your position. For instance, if you have an administrative or executive title, you may be exempt from overtime pay . However, many other positions carry a non-exempt status. One of the easiest ways to determine if you are a non-exempt employee is to track whether your wages have ever been reduced because you arrived late to work one day or had to leave early to pick up your child from school. If so, you are likely a non-exempt employee. 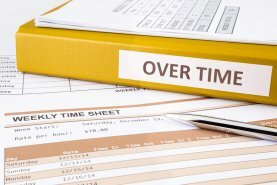 Under most circumstances, overtime pay is due to non-exempt employees who work more than 8 hours in a day, 40 hours in a week, or seven consecutive days in one workweek. Regardless of whether you work only a single hour past 40 hours once a month, or you regularly work 10 hours or more past 40 in a single week, you have the right to overtime pay. Asking your employer to provide legitimately owed overtime pay is your right, but it should be done with the proper precautions in place. First, you should submit your overtime request with written documentation. Second, you may want to contact an employment attorney before you move forward with your request. A labor lawyer is well versed in workers rights and can help you get the wages you are due. Should your employer dismiss you for your overtime pay request, an employment attorney could prove integral to getting capable legal representation and a fair settlement for a wrongful termination claim. Employees often refrain from making wage claims near San Jose for fear that it might jeopardize the relationship they have with their employers. However, employment laws clearly outline workers’ rights afforded to eligible employees. Should they not advocate on their own behalf for the rights due to them, they may be deprived of considerable income over the course of their working careers. If you have questions about legitimate wage claims, the following answers can help you better understand your rights. 1. What happens to unused vacation time if you leave a job? Perhaps you are moving on to a new career opportunity. As you reconcile the final details of your current job, you realize that you have unused vacation hours. In such a case, your soon-to-be former employer must pay you for those vacation hours. Earned vacation time demands payment the same as the hours you worked in a regular day. Should your employer refuse to pay out your vacation time, you may want to speak with an employment lawyer to see if you should file a wage claim . 2. How many breaks should you get during each workday? Wage claims may also be warranted if you must work through your mandated break periods. First, you must determine if you are a non-exempt employee. If you have this employment status, next consider the number of hours you work each day. Many employers expect their employees to be at work for at least eight hours. If this requirement applies to your work situation, you should receive a half-hour lunch break. After a four-hour period, you are likewise entitled to a 10-minute break that must be given again after four more consecutive hours. 3. 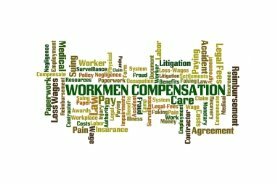 Why should you hire an employment lawyer for your wage claims? Labor laws are in place to protect your rights as a worker, but these can be difficult to understand without the necessary legal training. If you suspect that you have a wage claim because of wages not received from earned vacation time, missed break periods, or overtime hours, talk with a labor lawyer. Especially if you fear that you may be wrongfully terminated for your wage claim, an attorney who is knowledgeable in employment law can offer you the best possible legal outcome.